Black Friday & Cyber Monday Deals for Vive and Viveport! Happy Thanksgiving! To kick off the holiday celebrations, we’re pleased to announce Black Friday & Cyber Monday deals for HTC Vive™. Whether you’re looking to pick up a Vive or get the latest and greatest content from Viveport, we’ve got you covered. To get your jump on Virtual Reality this season, on both Black Friday and Cyber Monday, wherever Vive is sold, purchasers can receive $100, £100, €100, or the equivalent local currency in your region off the price, or back through an in-store coupon (while supplies last). In addition, Vive owners can build up their VR library with some of the most popular titles with big discounts through HTC’s Viveport app store, with bundle deals, an in-store cash back offer, and a 50% off sale running through the weekend. The Black Friday and Cyber Monday deals will be available online and in all retail locations where Vive is sold, including Microsoft Stores, Amazon.com, Gamestop, Newegg.com, Micro-center, and Vive.com. 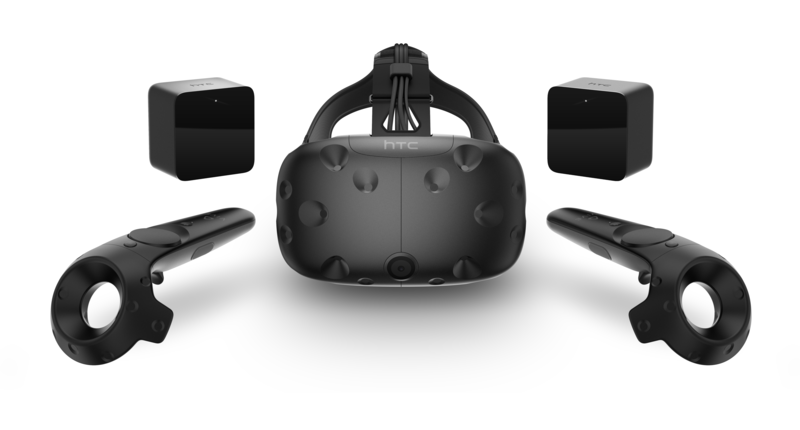 In addition, for the first time, Vive will be available for sale in 34 Fry’s locations across the U.S and online. To find a location to purchase Vive near you, click here. Fantastic Holiday Deals on Vive and Viveport!